This is the 27th International Trade Fair in Chattogram. It is organized by The Chittagong Chamber of Commerce and Industry and they are organizing it since 1993. CITF held annually at the Railway Pologround field in Chattogram. This fair is a festive occasion for the city dwellers. Every year people visit the fair with their family and friends and explore offering of the fair. This year it’s going to start on 06th March and it’ll end on 4th April. We are looking at a whole month of festivity and joy for the shopping enthusiasts. It is also a great chance for businesses to showcase their product to a huge number of customers from Chattogram. During the fair, it is open every day from 10 am to 10 pm. Tickets are available at the gate. From this year you can buy tickets online from www.ecitf.com and avoid the long line. In addition to big Bangladeshi companies, many companies from abroad participating in this fair. There are country-specific sections at the fair with 200+ mega pavilions, general stalls, mini stalls, and mini pavilions. There are food stalls offering local and foreign delicacy whenever you want to take a break. There are numerous numbers of attractive discounts, special offers, introductory prices and gifts are available in the CITF. This is the time to indulge yourself in the shopping spree. Welcome To fun and life. 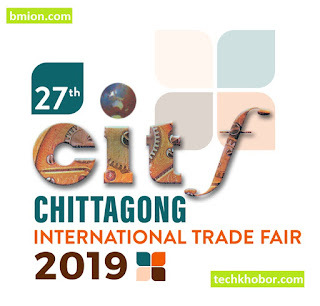 Join with us at Chittagong International Trade Fair 2019!